Maruti Suzuki is planning for a slew of launches by 2020 and in 2017-18 alone, it will launch four cars among which two are new models, while the rest are facelifts. The brand has been rolling out at least two new products in the country for last couple of years. And now, it plans to increase the number to strengthen its position and market share. 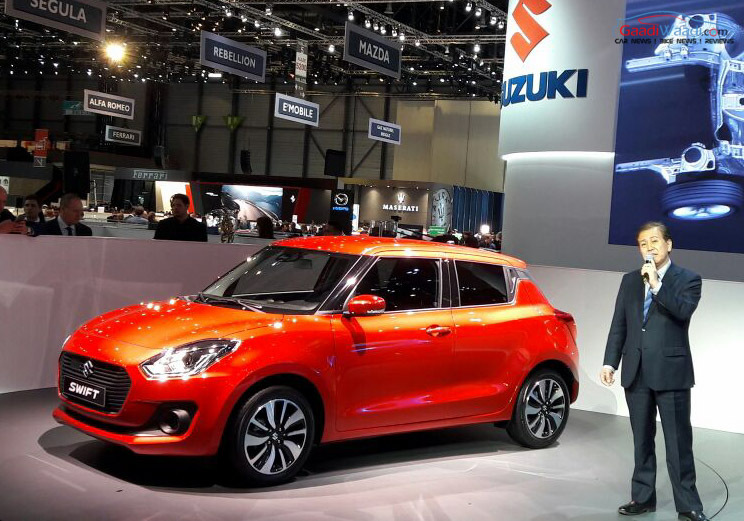 At the ongoing 2017 Geneva Motor Show Maruti Suzuki’s executive director for marketing and sales, Mr. R.S. Kalsi has confirmed about four launches this year, among which two are completely new models. The brand is preparing to introduce the third-generation Swift hatchback, which has been unveiled to public at the Geneva event. 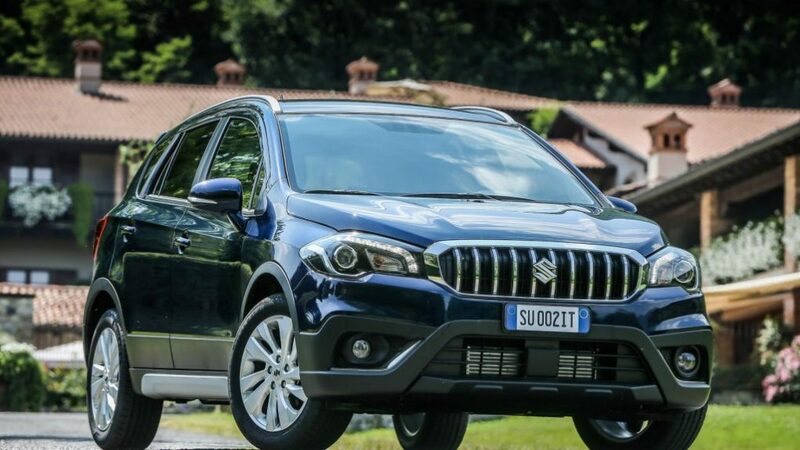 Apart from the new-generation Swift, which will hit the Indian showrooms during early 2018, the Indo-Japanese automaker will also launch the facelifted version of the premium crossover S-Cross, which will be sold through the brand’s premium dealership network Nexa. 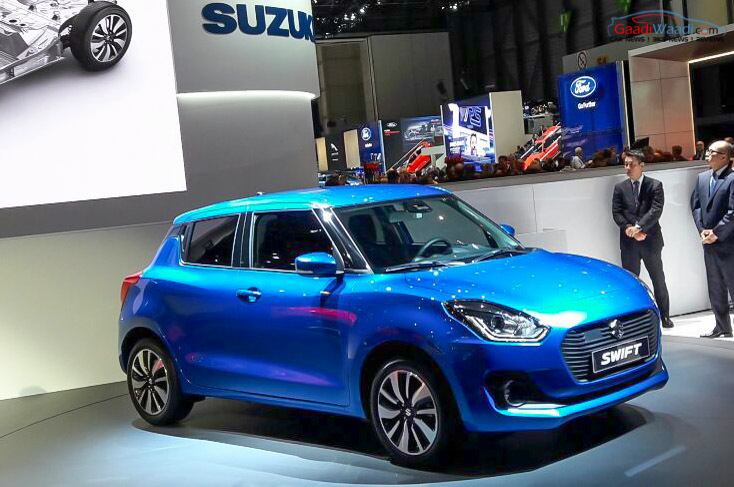 The all-new Maruti Suzuki Swift Dzire compact sedan is also on card. Maruti Suzuki has sold around 13 lakh units till between April 2016 and February 2017. Despite being majorly hit by the demonetisation, the automaker has managed to continue the growth it has been experiencing for last few years. Currently it holds a total of 47% in the Indian auto market, and aims to grab 50% soon. Speaking about the company’s future strategy, Mr. Kalsi said, it is important for the brand to grow faster than the industry in the country. He also mentioned how the brand has been growing at a good pace in last five years, and hopeful about achieving a double-digit growth in next fiscal. In this fiscal the company introduced some exciting products, which include the Maruti Suzuki Ignis and Baleno RS. In March 2016, the Vitara Brezza was launched, which became one of the bestselling cars in the country in very short span.